Mary Profitt over at Hamster Cage Studios has been doing a spectacular job painting up some of our releases for us. 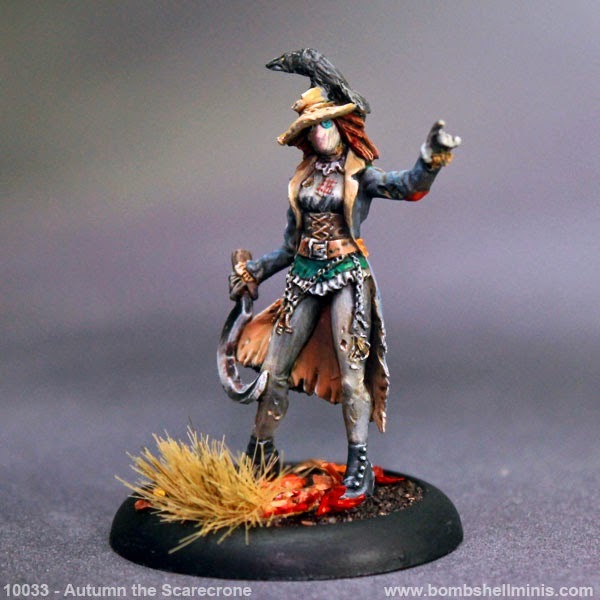 This month we have Autumn the Scarecrone. All of our new releases are now in-stock and are ready to ship out. Pre-orders were packed and shipped out yesterday. We are very excited to have reached the 200 member mark on our Bombshell Minis Facebook Group! The community has been very active with great posts on all of their projects and input with our minis and COUNTERBLAST™, If you haven’t joined yet, visit the group here and check out all the great posts.